Although intentionalists and functionalists seem to be on the opposite sides of a dispute, their apparent discord disguises a fundamental unity: the preference for internal, psychological and national history over external, sociological and transnational history. Even as intentionalists and functionalists disagreed as to how Germans came to rule over a good deal of Europe, they all assumed that these issues could be resolved on the basis of sources that, even in the best of cases and the wisest of interpretations, were limited by the German worldviews in which they arose and which they expressed. Because most participants in these debates relied on official German sources, the discourse took on an implicitly psychological character. It is one thing to record and interpret how Germans saw the world and thought they were remaking it; it is another actually to describe and interpret this world. Especially after September 1939, German leaders and institutions encountered actors and forces that were not of their making, beyond their control and untethered from their predictions. To be sure, a Polish government that refuses an alliance in 1939 or a Red Army that defends Moscow in 1941 appear in German sources; but no historians using only German sources can reconstruct the world from which those sources arose. Indeed, even the subjective side of the matter, the question of German aims and sentiments, remains opaque without an independent understanding of some of the surprising and unmistakable reality that the Germans confronted and considered but did not always themselves intelligibly record. A striking sign of traditional methodology is the colonial epistemic: the unapologetic use of German-language sources to describe events that took place beyond Germany and affected non-Germans. As two generations of historians have by now quite thoroughly demonstrated, multifocal methodology is necessary for colonial history. In most, if not all, colonial historiographies besides that of the Nazi empire in eastern Europe, this is taken for granted. The trend in, say, early modern histories of British rule in south Asia is toward the use of local-language sources as well as official British sources. It is becoming difficult to write of Spanish rule in the Americas without keeping Indian and African populations in the narrative. Even the history of the North American frontier has become multilingual, with outstanding recent studies depending upon French, Spanish and indigenous sources. For that matter, the history of the Nazi empire in western Europe has been written on the basis of local sources – try to imagine Robert Paxton’s work on Vichy without the use of French.6 Most historians would be unlikely to advise a graduate student to write a history of French collaboration or resistance without the French language. These are issues of far greater significance and magnitude in the German eastern empire than in the German western empire, not least because the Holocaust took place in eastern Europe and concerned overwhelmingly east European Jews. So in the history of European colonialism, only one exception is now made to the rule that local peoples have a voice: and that exception concerns the most significant case. In most colonial historiographies, the answer to imperial history is social history. But the social history of which society? 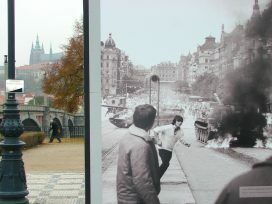 One of the minor themes of the Historikerstreit of 1986 and 1987 in West Germany was the legitimacy of Alltagsgeschichte, or the social history of everyday life among Germans during the Second World War.7 Was it morally acceptable, critics asked then, to portray the integrity of family life and the reality of local suffering at a time when Germans were exterminating Jews?8 Might this not suggest that the history of a society might be written in isolation from the greatest horror that a polity has every committed? Clearly a social history of the Germans as Germans would not overcome the colonial epistemic. One important move that was made in the last two decades, in major popular and synthetic histories of the Holocaust and the Third Reich, was the inclusion of the experience of German Jews. Might this overcome the limitations of the colonial epistemic? The inclusion of the small populations of assimilated German-speaking Westjuden and the marginalization of larger groups of Yiddish- or Russian-speaking Ostjuden in such histories of the Holocaust exacerbates the problem of civilization. For most readers of Holocaust histories, German Jews are unproblematic subjects of sympathy, precisely because their lives are familiarly bourgeois – civilized. Yet a narrative emphasis on German Jews, aesthetically convenient though it is, courts the reader to believe that they were typical victims of the Holocaust, which in certain objective senses they were not. Some 97 per cent of the victims of the Holocaust did not speak the German language. German Jews’ experience of Nazi power, dreadful, humiliating and often lethal as it was, was quite strikingly different from that of the much larger groups of east European Jews whose members made up the bulk of the victims of the Holocaust. For one thing, most German Jews survived. For another, German Jews experienced German power inside Germany, if they remained, until they emigrated or were deported to their deaths. This meant as many as twelve years of life under Hitler and often at least eight. Most Jews among the east European populations were killed within three years of their first contact with German rule, including about a million within the first six months after contact. More east European Jews were killed within two months of contact with German power in the summer of 1941 than were German Jews during the Holocaust as a whole. German Jews were only killed as Jews in significant numbers after the Holocaust began in the occupied Soviet Union. German Jews survived in Germany for reasons that would have been unthinkable further east, such as being married to a non-Jew. In this way, important histories of the Holocaust based in German-language sources, including the ones that cite the memoirs of German Jews, solidify the paradigm of German civilization that structures their accounts. The history of a modern catastrophe takes on the form of a classical tragedy: decline and fall, with anti-Semitism as the tragic flaw. From Hilberg (the locus classicus) to Friedländer and Longerich (the current standards) the basic story has two phases, usually formally arranged as two parts or two volumes: political anti-Semitism within Germany (decline) and the mass murder of Jews beyond Germany (fall). But if we can wrench ourselves away from the familiar and compelling storyline established by Hilberg and theorized by Arendt (discrimination, separation, elimination) to contemplate some of the basic facts of the Holocaust, we sense the tension between narrative power and actual power. If anti-Semitism could cause a Holocaust, then there ought to have been one in Germany before 1939. But although a few hundred Jews were killed and roughly half the Jewish population emigrated between 1933 and 1939, nothing resembling an anti-Jewish mass killing operation took place in pre-war Germany. Indeed, for every Jew killed in Nazi Germany in the 1930s, about a hundred were killed in the Soviet Union. When the Holocaust began, it was among Jews who had not been subject to any prior systematic discrimination and separation. They were simply killed as German power replaced Soviet power. When we read synthetic histories of the Holocaust, the anti-Semitism-without-a-Holocaust of the 1930s works as dramatic tension, because we already know what comes next. But as causal explanation the political anti-Semitism of the 1930s is clearly inadequate, at best a necessary part of an explanation rather than an explanation itself. The hypothesis that emerges, usually implicitly between parts one and two of a Holocaust history, is that of a surplus of anti-Semitism generated in phase one spilling over to provide the motive force for mass killing in part two. This has enormous literary power, but makes no logical sense. If we assume that anti-Semitism alone is what causes a Holocaust, then there must have been too little of it in Germany in the 1930s rather than too much, because there was no Holocaust in Germany in the 1930s. In histories of the Holocaust, everything happens in Germany – until it doesn’t. Eastern Jews (the huge majority of the victims) and other east Europeans are absent from the story until German eyes see them and German stenographers record those perceptions. If the lands of eastern Europe are present in a history of the Holocaust before they are conquered, it is usually as Nazi mental geography; if the peoples of eastern Europe are present, they are only abstractions within Nazi planning. Then, during the eastern invasions of 1939 and 1941, territories and peoples rise over the epistemic horizon in order to be mastered or destroyed. A moral problem arises here, since the individuals belonging to the very large victim groups will be far less real to the reader than leading Nazis, Germans generally, or German Jews, who have all been present in the story for six or eight years. A problem of context or setting arises as well. Try to think of a history of the Holocaust that notes that eight million non-Jews were murdered on the lands where the Holocaust took place, while Hitler was in power, before or during the mass murder of the Jews. If this is not mentioned, then the reader lacks the basis from which to enquire about other causal mechanisms of mass killing that might be at work in the time and place. But the fundamental narratological problem in the eastern invasions of 1939 and 1941 is the absence of local texts, the absence of sources in the local languages. Sources in German can portray the decline and fall of civilization; the absence of sources in Yiddish, Polish and Russian make the destruction of individuals and societies seem inessential to the story. The historian is left hanging at a certain distance from the worst of Nazi policies even as they begin. The reader is left (apparently) between a civilization that records its own decline in texts and a zone of textlessness, the darkness of the tabula rasa. The point is not at all that anti-Semitism was not an important cause of the Holocaust. Of course it was. Along with tyranny, conformity, war, colonialism and state destruction, it was one of the necessary conditions for the most calamitous campaign of mass murder in history. Hitler’s very special understanding of the Jews as an unnatural force that should be removed from the planet must be the beginning of an explanation. The problem is that it is clearly not a sufficient explanation for the Holocaust. Just as there was no Holocaust in Germany between 1933 and 1939, there was no Holocaust in eastern Europe during the half millennium when the region was the world homeland of the Jews. This was not for lack of anti-Jewish sentiment. Anti-Semitism was practically ubiquitous in eastern Europe; for precisely this reason it cannot logically be seen as the crucial cause of an explosion of murderousness that began in the summer of 1941. It is more or less a constant, whereas at that moment there are some striking variables: the destruction of east European states, during a double occupation by Germany and the Soviet Union, after the failure of initial German plans for a Final Solution and so on. So much was in motion as the Holocaust began that east European anti-Semitism, important though on this timescale static, is an improbable candidate for the major cause. During a given week in 1941 or 1942 more Jews were murdered in eastern Europe than in all historical pogroms combined. Clearly the Holocaust was an event of a different order than traditional anti-Jewish violence and requires a different kind of explanation. Moreover, the Germans themselves were dissatisfied both with the levels of local anti-Semitism and by the chaos that ensued when Jews were murdered in pogroms. They did not rely on local violence, provoked or unprovoked, as their method of eliminating Jews. Precise causal arguments about local anti-Semitism are and should be made, especially in a series of recent important books by Polish historians and in Christoph Dieckmann’s remarkable synthetic treatment of the Holocaust in Lithuania.14 But these arguments can never be formulated convincingly on the basis of German sources alone, which can provide little of substance on the motivations of their local collaborators and which tend to portray locals as barbarians. Although east European anti-Semites certainly took part in the Holocaust, it is not clear that they were much more likely to do so than others. The salience of local anti-Semitism depended, of course, on the drastic military, political, economic and social change brought by occupation and especially by double occupation. The Holocaust began in the zone of Europe that was doubly occupied, requiring us to attend to powerful external forces to an extent to which the study of occupied France or even Nazi Germany offers very little preparation. The lack of interest of historians of the Holocaust in the history of the lands where Jews lived and died is symptomatic of commemorative causality. The revolutions of 1848 are remembered as a turning point where history failed to turn. The revolutions of 1989 are likely to be recalled as the turning point where historiography failed to turn. Because the Holocaust took place entirely in lands that then fell behind the Iron Curtain, access to post-communist archives was the opportunity of a lifetime not only for students of communism, but also for students of German atrocities. Since the field was moving towards a concern with experience, this was all the more true, since the vast majority of the Jews who were killed in the Holocaust had lived in lands that became part of the communist bloc. Unfortunately, in the more than two decades since 1989, the historiography of the Holocaust has followed the broader move in European historiography towards visual and memorial history. Experience of the Holocaust never quite became the subject, only its representation did. These moves were everywhere highly conservative, since they must always depend upon a prior understanding of just what is envisaged, remembered, or represented. We might personally wish to believe that these moves were in some sense progressive, but in fact they tend to enshrine an outdated account of the historical past. This conservatism meant that the understanding of the Holocaust that was emerging in the late 1980s informed an older generation of historians seeking synthesis as well as a younger generation of historians seeking new approaches to what seemed like an old subject. To be sure, the better historians of the Holocaust knew that the events now could and should be set in eastern Europe and that their arguments must account for the experiences of the peoples who lived there in the early 1940s. They were swimming against the tide. Commemoration is the siren song of signification, appealing to emotions but fatal for thought. The victims must be brought nearer to us and the perpetrators banished, ideally by reference to a belief they held that we can find intolerable and which we can see as fatal to the victims. The cost of ignoring factors besides anti-Semitism and ignoring historical setting when anti-Semitism is the subject, is a startlingly incomplete public understanding of the Holocaust. This is all the more startling, precisely because this incomplete understanding is as or more prevalent among those who read books about the Holocaust, watch documentaries and otherwise seek out historical perspectives on it. The cost of using east European anti-Semitism as the narrative glue that holds together shaky explanations of the Holocaust is the maintenance of the familiar civilizational gradient between West and East. This is a serious intellectual problem for historians, but thanks to its conventionality it has all of the advantages (and charms) of inertia. It is familiar to us from the Nazis and it is familiar to us from the Cold War. The fall of the Berlin Wall, a moment that seemed to end both the post-war and the Cold War, has done less than might have been expected to alter the presumption of a higher civilization in the West (to which Germany now again unquestionably belongs) and an absent or lower civilization in the East. Political revolution, economic dynamism and European integration will no doubt in the end have some effect on this sensibility, but it is noteworthy that two decades of change have altered rather than abolished the framework of Western civilization. In 1939 and 1940, as a result of the alliance then in force between Nazi Germany and the Soviet Union, the Germans and the Soviets together destroyed Poland, while the Soviets destroyed the three Baltic States. These countries were home to roughly ten times as many Jews and twenty times as many Holocaust victims as was Germany itself. The destruction of states was of decisive importance for Jews: in places where pre-war state authority was destroyed or displaced, Jews had about a one in twenty chance of surviving; in places where the pre-war state remained, even if that state was the Nazi state or a Nazi ally, their chances were more like one in two. But to note the importance of the state for Jews (and of course for other citizens) would require historians of the Holocaust to consider political life and tradition beyond Germany. This is impossible to achieve within the decline-and-fall narrative and impossible within the limits of the colonial epistemic. Yet for many civilizers there was one civilization east of Germany: the Soviet Union. Despite all of its flaws, which are sometimes acknowledged, the USSR figures as civilization under assault, the power that in rescuing itself rescues humanity. The crucial image for this redemptive theme is that of the “liberation” of Auschwitz by the Red Army. This standard trope, trotted out whenever civilizers feel threatened, is more than problematic. Why Auschwitz, rather than the killing fields further east, where far more Jews were murdered, or the death facilities further east, where far more Jews were also murdered? 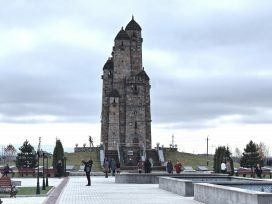 These sites too were liberated by the Red Army, but lack the resonance of Auschwitz, some of whose victims are known to us and some of whose victim groups belong to a more familiar central and west European geography of civilization. Unlike the killing fields, unlike the death facilities of Treblinka, Belzec and Sobibór, Auschwitz was a large concentration camp as well as a killing site, so there was something physical to be liberated. Perhaps above all, Auschwitz is resonant because it has come to stand for the depths of a fallen civilization. It is seen as evil, but also as modern. It reveals a tragic flaw. For this reason, its liberation by soldiers who seem to dialectically represent a healthy and victorious civilization is all the more poignant. If the Soviets freed Auschwitz, imply the civilizers, then they must have stood for values opposite to those of the Nazis who built it. Although many of the prisoners who awaited the Red Army at Auschwitz were not in fact Jewish, they have come to stand for those Jews who awaited the coming of the Soviets as their only chance for survival. The liberation of Auschwitz thus fits perfectly the civilizers’ assumptions and literary needs, wedding as it does the emotionally irresistible force of the desperate hopes of Jewish survivors to the implicit notion that civilization itself has returned and triumphed. This tempting literary move can only be made if prior references to Soviet power and policy are absent. Thus one can read a library of books about the Holocaust without learning that the Holocaust began in doubly-occupied lands where the German invasion of 1941 undid Soviet structures established after the Soviet occupation of 1939 in Poland or 1940 in the Baltics, that Soviet power was present everywhere the Holocaust took place, either immediately after or (usually) both before and after the mass murder of the Jews. The Soviets themselves murdered some four million people on the lands where the Holocaust took place while Hitler was in power. Many of the non-Germans who killed Jews or who guarded the death facilities were double collaborators and Soviet citizens. Auschwitz, the symbol of evil, modernity and liberation, had been a town in Poland; it was ceded to Germany by the Soviet Union by the terms of the German-Soviet military alliance of 1939. It was the destruction of the Polish state (with Soviet help) that expanded the population of Jews in Germany from a few hundred thousand to more than two million. There followed, in German-occupied Poland, expulsions and ghettoizations of Jews, as well as an acceleration of the planning for a Final Solution. One Nazi plan, in early 1940, was to deport two million Polish Jews to the Soviet Union, then a German ally. Unsurprisingly, though problematically for the civilizers, the Soviets declined. During the German-Soviet alliance, Soviet propaganda played down German anti-Semitic policy. This meant that when the Germans invaded Soviet territory in mid-1941, the region’s Jewish citizens were almost entirely unprepared for the new reality. During the course of the German-Soviet war of 1941-1945 the worst places to be, for Jews and everyone else, were those territories occupied by both the Soviets and the Germans. The Soviets indeed played the crucial role in the victory over the Germans but, like their allies, were not fighting to stop the Holocaust. 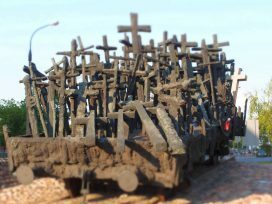 When Army Group Centre of the Red Army halted at the Vistula in August 1944 and watched the Germans brutally suppress the Warsaw Uprising, it was also giving the Germans time to deport the 67,000 remaining surviving Jews of Lódz to Auschwitz, both of which were just a few days’ march away. They also waited as most of the remaining prisoners of Auschwitz were death-marched towards Germany. The point is not that the Soviet Union was as bad as Nazi Germany, or should be seen as complicit in the Holocaust. The point is that this burdensome history is excluded from histories of the Holocaust because it interferes with the image of the liberation of Auschwitz as the simply moving return of civilization. For the civilizers’ opponents in eastern Europe, the “nationalizers”, the key concept is not civilization but national sovereignty.17 While students of the Holocaust tend to ignore or understate the significance of other German or Soviet crimes that took place where the Holocaust did, nationalizers emphasize (and often overstate the significance of) the German or Soviet crimes associated with the loss of statehood. 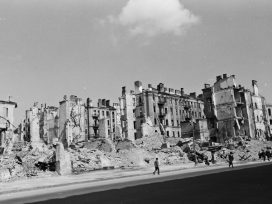 East Europeans cannot overlook the destruction of their states, as Holocaust historians tend to do. Since it was the Soviet Union that was the main destroyer of states (either in the wars after the Bolshevik Revolution of 1917, during the German-Soviet alliance of 1939-1941, or at war’s end in 1945) nationalizers cannot see the USSR as the redeemer of civilization. It figures instead as an aggressor that sought to destroy the local national communities into which most nationalizers were born and to which sovereignty was restored only in 1989-1991. Unlike the civilizers, who usually (with the exception of an older generation) have little or no personal experience of tyranny, the nationalizers (apart from a younger generation) were raised under communism and cannot reasonably be expected to dismiss the USSR from history. As they know, Soviet policy was not only to destroy states but to liquidate the elites that might one day restore them; they see themselves, in writing national history within sovereign states, as defying what the Soviets presented as the verdict of history. Nationalizers tend to see western colleagues as too willing to accept that verdict and in the best case to write of east European lands as though they lacked elites, states and traditions and in the worst case not to write about them at all. Because the Holocaust began in the occupied Soviet Union and happened entirely on lands that fell under Soviet power, east Europeans take for granted that a history of war and atrocity includes both Hitler and Stalin. Taboos about comparability and the like make little sense to people whose families were very often struck by both Soviet and German power. The physical and architectural environments of eastern European cities and countryside are marked by both regimes, which means that even younger and coming generations have and will have difficulty seeing Nazi occupation of their homelands as something completely distinct from the rest of history. The Holocaust was never unknown in eastern Europe, because it took place in eastern Europe and because the huge majority of its victims were east Europeans – “neighbours”, in Jan Gross’s memorable phrasing.18 National myths of unadulterated heroism during the war and innocence during the Holocaust have been challenged with varying degrees of success from one east European country to another since 1989; historiographical debates about the Holocaust have taken place at higher or lower levels. Civilizers seem to expect more of nationalizers: a repetition of German acknowledgements of guilt, followed by an acceptance of the current state of Holocaust historiography, with all of its problems, limitations and taboos. This is impossible. While it is incontestable that hundreds of thousands of east Europeans took part in the Holocaust in one way or another and almost certain that most killers of Jews were not Germans, the Final Solution was a German policy led by Germans (and Austrians) on occupied territory. The standard of civilization as national recognition of a single national crime simply cannot be met beyond Germany, because the crime in question was above all a German one. The standard of civilization, as collapse or as apologia, is set by Germany; the confusion arises when civilizers confuse universalism with the German experience and expect that elites in eastern Europe can simply work from the German template. In the last two decades, we have seen the dispute between civilizers and nationalizers vex attempts to construct a common European history and indeed cause problems for the project of European integration. Each side, after all, is sure that it represents the best of Europe: the Europe of experience in the East, the Europe of enlightenment in the West. The dispute endures and can continue to endure, because each of their stories has a certain coherence that, far from challenging the story of the other, helps to anchor it. This is the central feature of the controversy: despite appearances, it is extremely comfortable for both sides. The cliché runs that a dispute generates more heat than light: this one produces a kind of cosy warmth. Each side is so palpably wrong about so many major issues that the other cannot help but feel that it must, in turn, be right. But the secret community at the heart of the comfortable controversy is the general concord over commemorative causality. Both research colonially, using the sources of the colonizer to portray the fate of the oppressed; both see like the state in order to feel like the victim. They define the victims differently, but treat them similarly. Elements of contemporary history of representation that we might experience as postmodern or liberating actually serve the conservative function of the perpetuum mobile of the comfortable controversy. Four examples are discourse, language, terminology and representation. The discourse of the uniqueness of the Holocaust produces a contagious exceptionalism that aids both civilizers and nationalizers. To be clear on the historical issue: the Holocaust was an unprecedented crime, both in intentions and outcome. The problem begins not with historical writing that seeks to prove this, but with a historical discourse that simply presumes it (and seeks to establish a taboo against attempting to decide the issue with evidence). Civilizers take for granted that nationalizers should accept the discourse of presumptive uniqueness and take it as a sign of barbarism when this does not occur. But the civilizers’ problem is not exactly that the history of the Holocaust fails to impress. Their problem is that it impresses in a different way than expected. The discourse of Holocaust uniqueness is understood by east Europeans, not entirely wrongly, as an endorsement of local conventional historiographical practices. Consider the methodological assumptions of Holocaust discourse: (1) assertions of the uniqueness of the experience of the victims, accompanied by the suggestion that the suffering of the one group might somehow redeem all of humanity; (2) the colonial epistemic, or the critical use of colonial sources; (3) determined monoligualism, or the strong preference not to use bodies of sources that will complicate the account; (4) careful delineations of insiders and outsiders. Once these assumptions are made explicit, we see immediately that they describe traditional east European national historiography, as established in the nineteenth century and practiced to the present day. The history of the Holocaust can be received not as a challenging new sort of discourse, but rather as another example of national history and thus confirming the legitimacy of national history as such. Thus exceptionalism turns out to be contagious. The history of the Holocaust in the late twentieth century was written according to the model of east European romantic nationalism of the nineteenth century, which it then reinforces in the twenty-first. The terminology that permits the civilizers and the nationalizers a durable if contentious truce is genocide. The civilizers tend to maintain that there was only one genocide, the Holocaust; the nationalizers counter that there were two, the Holocaust and a Soviet crime (which one depends on the country). Of course, everyone is wrong; by the legal definition, both the Germans and the Soviets committed multiple genocides. So any debate as to whether the proper number of genocides is one or two is political and likely carried out either in ignorance or bad faith or both. What its persistence reveals is the valuable ambiguity of the term “genocide” for both the civilizers and the nationalizers. For nationalizers, the broad legal definition of genocide permits claims (very often correct) that a given crime against their people was genocidal. But the appeal of the term is not that it can be correctly applied. The appeal of the term for nationalizers resides in its popular association with the Holocaust. Many people believe that genocide means the same thing as Holocaust and therefore nationalizers can score polemical points when they call a crime genocidal. But why do some people hold the incorrect view that the Holocaust was the only genocide? This is thanks to the civilizers, who insist on limiting the application of genocide to the Holocaust as a way of preventing such comparisons. Of course, such defences simply invite comparisons from those who would like a similar aureole to surround their own national tragedies. The question must then arise: why do civilizers think that the Holocaust, which in simple historical terms was clearly unprecedented, will be further clarified by the obviously incorrect application of a legal term? In all likelihood, this is because historians of the Holocaust lack confidence in their claims to uniqueness and therefore seek a non-historical buttress to their views; if so, this lack of confidence is little more than an invitation to nationalizers to use “genocide” on every possible occasion. However that may be, the accord among civilizers and nationalizers about the indispensability of a term they make ambiguous allows the discussion to continue indefinitely. Since 1989, civilizers have unwittingly helped nationalizers to establish parallel histories of victimhood grounded in commemorative causation. The United States Holocaust Memorial Museum and Yad Vashem are, in the most literal sense, inspirations for the memory ministries and new historical museums that are now so popular and well-funded in much of eastern Europe. Scholars and curators do not seek to imitate their own traditional national museums, but rather the effective formats of museums of the Holocaust. They believe that the techniques used to isolate the Holocaust from history can also be applied to other episodes of mass killing and repression in eastern Europe. Commemorative causality is thus not only a problem for historians of the Holocaust because it generates poor histories of the Holocaust; it is a problem because it generates poor histories of events that are related to and will be compared with the Holocaust. It permits the comfortable controversy between civilizers and nationalizers to be institutionalized. Commemorative causality, the confusion between present resonance and past power, denies history its proper subject. The explanation of the Holocaust becomes circular, no longer a search for the terms to express the horror of Jewish experience and the concepts to explain the whole of German policy, but instead the unreflective insertion of today’s common sense into gaps of historical expression and understanding. Of course, the balance between present and past is always difficult to strike; finding it is the business of the historian. The task becomes impossible when the commemorative impulse of the present is confused with the past itself, such that what is easiest to represent becomes what it is easiest to argue. Then we have no serious explanations, only emotional reflexes. With commemorative causality, the boundaries of history are set by the contingencies of empathy, which then becomes a precious commodity. Writing about episodes of mass killing besides the Holocaust, according to Omer Bartov, “precludes empathy.”21 If this is true, the fault lies with the writers of Holocaust history, rather than its readers. Certainly people who survived the Holocaust had empathy for those who survived other horrors; its students should do no worse. Jews during the Second World War knew about the murder of Soviet prisoners of war by the Germans. But who will commemorate these three million mortal victims of Nazi oppression? No one, because they do not belong to a commemorative community. Because they are not commemorated, they go missing in synthetic histories of the Holocaust, although their experience is indispensible for an adequate explanation of the Holocaust. Their plight forces us to consider Nazi planning for the east: to create a racial empire after starving and deporting tens of millions of people. These plans are needed to understand why Germans conquered the lands of Jewish settlement. The experience of the Soviet prisoners of war also confirms the Nazi ideological priority of the destruction of Jews. When German plans broke upon Soviet resistance, Hitler was willing to use captured Slavs as labourers, while accelerating and escalating the Final Solution such that it became the Holocaust. Many of these individuals were starved twice: not just in horrible German hunger camps in 1941, but in Soviet Ukraine in 1933. These lives thus recall for us the issues of modernization, empire and political economy that we must have in mind if we are to hope to understand the Holocaust. These categories cannot be commemorated because they are not of the past. They are of the present – which is precisely why they should be remembered. The commemorative impulse not only separates ideology from history, it limits ideology to what can be represented in non-textual forms. Ideology becomes what can be aestheticized today, rather than what was desired in the past. Without a full understanding of ideology’s own claims on the world and without a lively understanding of past worlds altered by ideology, we can neither understand anti-Semitism nor prepare ourselves for its return (or for the revival of similar ideas). Like the Nazis who sought to conquer eastern Europe and for that matter the Soviets who did, we live in a world of scarcity. It is not too difficult to imagine other ideas that will justify radically unequal distributions of resources and the destruction of groups who seem to stand in the way. Can such a marriage of ideas and destruction happen again? It already has, in various forms, in China, Cambodia and Africa. Has it been exactly like the Holocaust? Of course not. But is it productive of historical understanding or political judgment to attune research about the past to the commemorative practices of today? Can we afford to replay the ideological disputes of the twentieth century as a comfortable controversy while ignoring the connections between the material and the ideational? Should we rest our case upon an idea of civilization that depends upon mastering the unmasterable past in the service of sustaining an unsustainable present? Of course not. This essay draws from three lectures, delivered at the Wilson Center in Washington DC, Cambridge University, and Princeton University; my thanks are due to Vladimir Tismaneanu, Rory Finnan and Jan-Werner Müller for the invitations. In the first part of Penser la Révolution française (Paris: Collection Folio/Histoire, 1978). In her 1965 lectures at the New School for Social Research, collected as Über das Böse: Eine Vorlesung der Ethik (Munich: Piper, 2007). Inter alia Ian Kershaw, Hitler: A Biography (New York: W. W. Norton, 2008); Peter Longerich, The Unwritten Order: Hitler's Role in the Final Solution (Stroud: Tempus, 2001); Peter Longerich, Heinrich Himmler: Biographie (Berlin: Siedler, 2008). See also my review of Longerich in the New York Review of Books, 23 June 2011, 54-6; www.nybooks.com/articles/archives/2011/jun/23/new-approach-holocaust/?pagination=false. Raul Hilberg, The Destruction of the European Jews (New Haven: Yale University Press, 2003), 3 vols. ; Hannah Arendt, The Origins of Totalitarianism (New York: Harcourt, Brace, 1951). Notably, but not exclusively, Michael R. Marrus and Robert O. Paxton, Vichy France and the Jews (New York: Basic Books, 1981). Still invaluable as English-language introductions to the Historikerstreit are Peter Baldwin, ed., Reworking the Past: Hitler, the Holocaust, and the Historians' Debate (Boston: Beacon Press, 1990), and Charles Maier, The Unmasterable Past (Cambridge: Harvard University Press, 1988). See also Hans-Ulrich Wehler, Entsorgung der deutschen Vergangenheit? (Munich: Beck, 1988). The simple factual problem with this approach is that German families were perfectly aware of the Holocaust and other German crimes, not least because so many of them materially benefited from them. Although this was no doubt known in the 1980s among Germans of older generations, it was not as well documented then as it has been since. Richard J. Evans, The Third Reich at War (New York: Penguin, 2009); Saul Friedländer, The Years of Extermination: Nazi Germany and the Jews, 1939-1945 (New York: Harper Collins, 2007). I discuss these works in The New York Review of Books, 30 September 2010 and 3 December 2009. A fascinating example of a violation of the taboo on making this rather ordinary observation is Jan Patocka's discussion of Husserl in his analysis of Heidegger's famous Spiegel interview. Jan Patocka, commentary on "Entretien avec Der Spiegel: Réponses et questions sur l'histoire et la politique," Le Messager Européeen 1 (1987), 21-73. See the longer discussion in The New York Review of Books, 23 June 2011. Daniel Jonah Goldhagen, Worse than War: Genocide, Eliminationism, and the Ongoing Assault on Humanity (New York: PublicAffairs, 2009), 358; Yitzhak Arad, The Holocaust in the Soviet Union (Lincoln: University of Nebraska Press and Jerusalem: Yad Vashem, 2009), 89. The distinction I seek to make between commemorative and causal history is much the same as that Isaiah Berlin introduces between the methods of Voltaire and those of Vico. Against the Current: Essays in the History of Ideas (Oxford: Clarendon Press, 1991), 92. Christoph Dieckmann, Deutsche Bestazungspolitik in Litauen 1941-1944, Göttingen: Wallstein Verlag, 2011. See also my reviews in the New York Review of Books, 20 December 2012 and 21 June 2012. Important work on the role of the OUN in the Holocaust is being done by John-Paul Himka and Marco Carynnyk. For my own work on Ukrainian and Polish nationalist ethnic cleansing, see "The Causes of Ukrainian-Polish Ethnic Cleansing, 1943," Past and Present 179 (2003), 197-234; "The Life and Death of West Volhynian Jews, 1921-1945," in Ray Brandon and Wendy Lower, eds., The Shoah in Ukraine: History, Testimony, and Memorialization (Bloomington: Indiana University Press, 2008), 77-113; relevant chapters in The Reconstruction of Nations: Poland, Ukraine, Lithuania, Belarus, 1569-1999 (New Haven: Yale University Press, 2003); and Sketches from a Secret War: A Polish Artist's Mission to Liberate Soviet Ukraine (New Haven: Yale University Press, 2005). In Yehuda Bauer's indispensible and otherwise excellent study of the shtetlakh, where pre-war sovereignty cannot be ignored, it is dismissed: "Polish society imploded under the weight of its own corruption, economic failure, and uselessness." Yehuda Bauer, The Death of the Shtetl (New Haven: Yale University Press, 2009), 360. I have devoted most of my career to the problem of national history and national myth in eastern Europe. In one way or another, this was the subject of the four books that preceded Bloodlands. 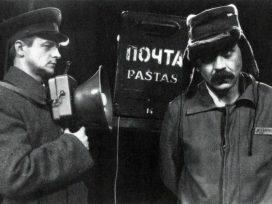 The title of Gross's book (Neighbors) has a meaning in English that it lacked in the Polish original. In English translations of the Bible, Leviticus 19:18 commands us to love our neighbours as ourselves. In the Gospel of Luke, in the parable of the Good Samaritan, Jesus defines a neighbour as one who shows mercy, which of course is just what Poles in Jedwabne did not do. This painful irony is absent in Polish, since the book's title "sasiedzi" is not the word used in Polish translations of Leviticus and Luke (which is "blizni"). The use of one reference book would solve this problem: Paul Robert Magocsi's Historical Atlas of Central Europe (Seattle: University of Washington Press, 2002). Jan Gross's books appear in English, as has Barbara Engelking and Jacek Leociak, The Warsaw Ghetto: A Guide to the Perished City (New Haven: Yale University Press, 2009). Deserving of attention and translation inter alia are: Marek Szapiro, Nim slonce wzejdzie. Dziennik pisany w ukryciu 1943-1944 (Warsaw: Zydowski Instytut Historyczny, 2007); Barbara Engelking and Dariusz Libionka, Zydzi w powstanczej Warszawie (Warsaw: Polish Center for Holocaust Research, 2009); Adam Pulawski, W obliczu Zaglady. Rzad RP na Uchodzstwie, Delegatura Rzadu RP na Kraj, ZWZ-AK wobec deportacji Zydów do obozów zaglady (1941-1942) (Lublin: IPN, 2009); Jan Grabowski, Judenjagd (Warsaw: Polish Center for Holocaust Research, 2011); Barbara Engelking, Jest taki piekny, sloneczny dzien... (Warsaw: Polish Center for Holocaust Research, 2011). Jürgen Matthäus, Martin Shaw, Omer Bartov, Doris Bergen, and Donald Bloxham, "Review Forum" on Donald Bloxham's The Final Solution: A Genocide (Oxford: Oxford University Press, 2009), Journal of Genocide Research 13, nos. 1-2, 128; doi:10.1080/14623528.2011.559116.